Bruce and Mary Shannon have dedicated countless hours to the Waubonsie Valley Booster Club, taking on the year-round responsibility as concession directors. Because of their service and commitment to Warrior athletics, they are being named the BMO Harris Bank District 204 Volunteers of the Month. Bruce and Mary have lived in District 204 for the past 20 years and have two sons at Waubonsie Valley High School. They are described as hard-working, welcoming, positive, humble and selfless. And most notably, they are appreciative of other people’s time and always have a smile on their face. As concession directors, they manage ordering and restocking concessions for all home athletic events. They organized the first annual Waubonsie Valley Food Truck Rally which involved coordinating the food trucks, volunteers and concessions. Their efforts support all Warrior athletic programs through the Booster Club. Mary also led the boosters' scholarship team and organized the application review process. One of their nominations states "Their humble attitudes go hand in hand with the selfless way they serve the school and its athletes at Waubonsie Valley." 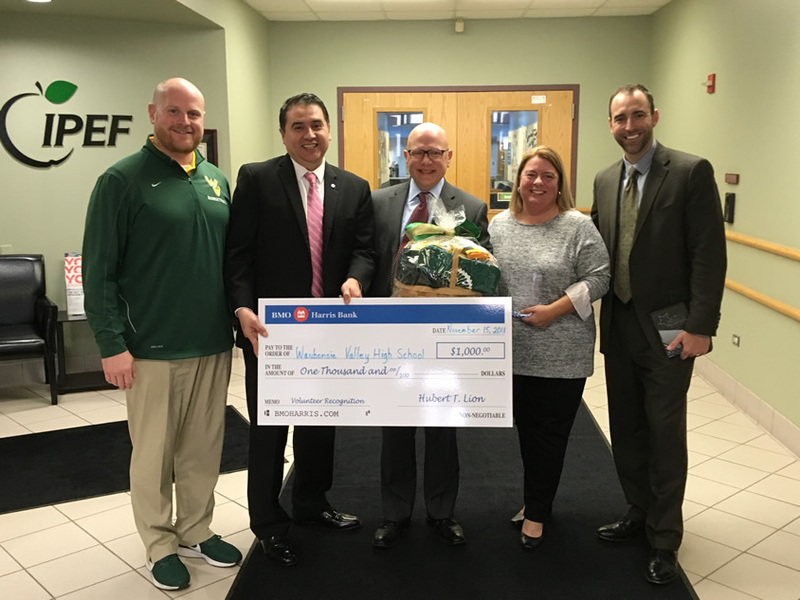 In addition to their commitment to Waubonsie Valley, Bruce and Mary are involved in other activities throughout the community. They believe it is important to show their boys that giving of time with no expectation of anything in return is a way to make a difference in the lives of others.